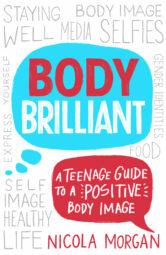 After a LOT of work by my publishers, involving many iterations and ideas that didn’t work, Body Brilliant has a cover! It doesn’t have a page on my website yet, but that will come. You can already pre-order it on Amazon or, even better, from your high-street bookshop. And you’ll be able to order signed copies from me when it’s out. I’ve been consulted every step of the way on this cover and it has really felt like a team effort. I’ve always been consulted, to be fair, but on this one I felt 100% listened to. The cover theme wasn’t my own idea – I don’t have those skills – but on this and the various other versions my opinions and ideas were all taken on board. The other people whose opinions were important, apart from my editor, of course, were the foreign rights team. Even though a foreign edition will often have a different cover (which the foreign publisher would design) it’s still important that our cover sends out the right signals and the rights team know what signals are needed to encourage a foreign deal. 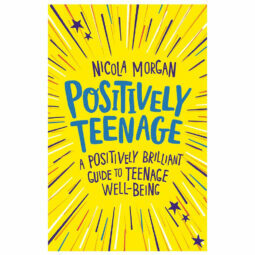 Talking of foreign deals, Positively Teenage comes out in the US in July, with a very different cover and even a different title! I find it fascinating how different covers appeal in different countries. It shows how culturally influenced we all are. I hope you like the Body Brilliant cover. 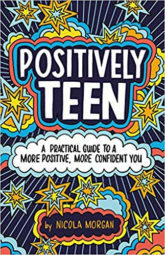 I like it because it’s not gender/age-specific and feels respectful, adult, sensible and calm; and it says a lot, too. Thank you, Hachette Children’s Group! Looking forward to my meeting next week, when we’re discussing next books.